The training with Ashraf has been an amazing few weekends for me. Having over 30 years’ experience in the corporate world, l found the approach refreshingly new, creative, energetic and inspiring for personal change. The course covers the structure of ICF and then Ashraf layers on top some meaningful, practical and fun ways to experience coaching from the heart, with the possibility to add real value to the world. Before joining the program, I had gathered some experience by being coached on my work place and by co-leading team workshops. I joined the program from this professional perspective to focus on my personal development and to develop my managerial skills. From the first weekend of the program, Ashraf has succeeded in changing my perspective away from this purely logic-oriented strategy towards a broader heart-opening conception of embracing life. We also gained hands on experience right away both as a coach and as a coachee and I benefited immensely from both angles. I digged deep to reconnect with my intuition and I felt encouraged to provide a listening ear and constant support for my coachees to make progress on their life path. Over the course of the program, we learned a broad variety of coaching techniques, always revolving around the basics of coaching: curiosity, powerful questioning, listening, being in the moment, creating a connection... As the learning process can be rewarding as well as challenging, we could always count on Ashraf's support but also on the powerful advice of the rest of the group. This protected environment made it particularly easy to take risks and get out of our comfort zones. Very early in the program, we experienced a very steep learning curve by coaching clients external to the group of participants. It was a tremendous experience! The whole program has not only allowed me to reflect on my impact on developing others at work by using coaching tool. It also changed my way to embrace life, to listen to my family and friends, thereby enjoying the deepened connection, to take more risks, to focus on the present moment, to involve the heart at the center of all major life decisions. I could not thank Ashraf enough for this life - changing experience! An amazing training that helped me to grow and develop skills to better understand and help others. The kind of teaching the world certainly needs more of. The CPCP training had a tremendous impact on my personal development. I’m on a new journey. I’ve been inspired and empowered. Mr. Ashraf is a fantastic person, with incredible coaching skills that all group enjoyed. We felt supported and valued for our uniqueness and strengths. Thank you for the fantastic opportunity and perfect gift. I truly appreciate it! You’re doing a fantastic job! I started the coaching certificate programme with certain expectations. The program delivered much more than what I expected and has made me overall more confident. I would strongly recommend this programme to anyone. It had been almost a year when I started searching for a coaching course, I was feeling on that time that maybe would be an option to start coaching people before being a full psychologist. I was searching for a change on my life and, oh man, I got it. I got into the ECC coaching program mainly because of Ashraf; the personality and energy that I felt the first time I meet with him was all what I needed to know that I wanted to learn coaching with him, and up to this day I keep it as one of my best choices in life. Going through the CPCP has implicated not only learning about coaching techniques, tools and ethics; it has been also a journey where I have met incredible people and I discovered and developed myself. Wtih the help of the various exercises and assignments proposed by Ashraf, and the help of the peers, I have found not only the job that I really want to do in the future but also the vision of my life and my purpose. I got into coaching thinking that I was going to learn some techniques and tools that will help me to have my own job, and sure I have learnt some of those, but above all I have learned that I AM the tool to help others, and all the resources and tools that I need to do it are within me. I fell in love with the course from the very first week of taking it! I found the material very engaging and captivating and the whole program comprehensive and easy to understand. In addition, it was such great fun! After I graduated and completed the required hours I started using the tools I learned and applied it in my healing profession. To my surprise I found out that life coaching yielded faster results than healing. Clients liked the approach a lot and stuck to the plan. 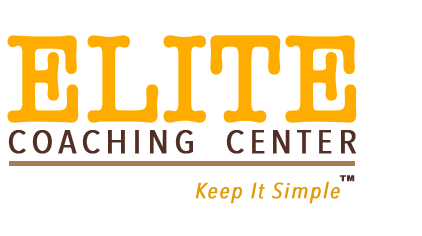 I highly recommend this program for those seeking personal improvements in their own lives and for those who want to take it as a career to help others through coaching. Mr. Ashraf Marzzoka is an amazing life coaching trainer. I had the privilege to take the course with him. His method and style in delivering the information is very engaging and interactive and his method in explaining ideas and concepts is outstanding. Since I started with the program, I started to further "question" myself and my environment. I became more aware of myself and, I think, achieved personal growth and increased self-care. As for the people around me, I cut on giving advice from personal experience and began to apply as much as possible the techniques gained in the life coaching course. The Mentor is very well trained, has an inspiring origin and way of life, knows how to impart the knowledge, what is most important in the teaching process. He is also very patient and trustful. If you want to re-examine yourself and help others to make and take the best out of them, this is a course which is worth it.